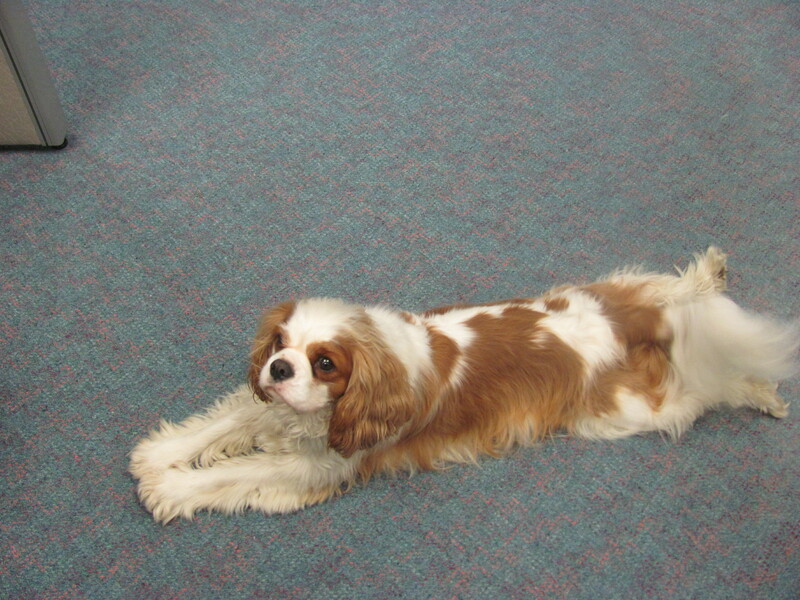 This is Rogan Josh, he’s a hearing dog and he works in my office. Officially his job is helping Vanessa who’s hearing impaired, but he’s also helps clean up crumbs when there’s a staff morning teas, and most importantly as a stress reliever. He’s pretty good and mostly stays by Vanessa’s desk but some times he’ll go for a bit of a wander around the office in search of attention and new smells.